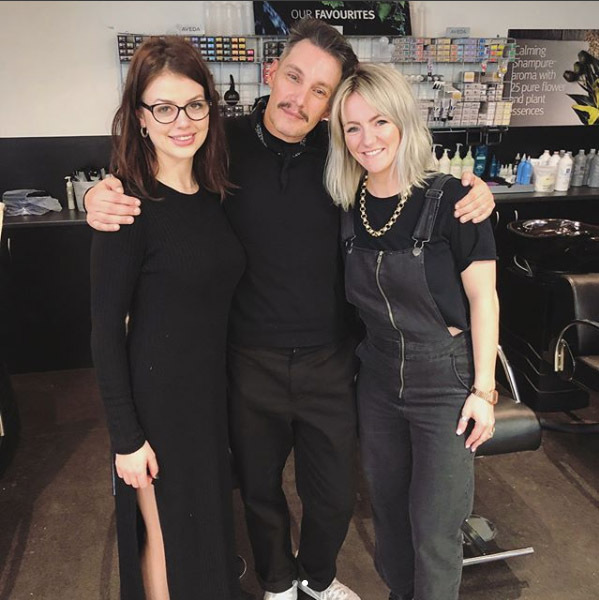 The Salon Yazbek team travelled to Melbourne last weekend to participate in the Aveda Colour Harmony Awards for 2018. Salon Yazbek were finalists across two categories, Editorial and Salon Collection. Head honcho Nathan Yazbek had to recreate his finalist image on Monday in preparation for the evening gala ceremony. "The fact that we were finalists was a winning moment already. I was super excited to travel down to Melbourne with the team. Everyone worked so hard in creating the photographic collection, so it was great fun to fly down for some hairdressing shenanigans . Recreating my photographic image was a great experience, going from a two-dimensional image and recreating it for a catwalk gala event was certainly a new experience!" Nathan had 3 hours to recreate his look in front of the judges and other competitors prior to the awards ceremony. He then had to present his model to the judges, explaining his inspiration behind the look. "Although we awarded runners up for both categories, the awards competition was a great learning experience. It really pushed our creativity as a salon, whilst preparing for the shoot we were crazy busy brain storming ideas, story boarding looks and colour testing new formulas. It was such a great experience and I am so proud of the work the team created. We can't wait to create a collection for next year."